Some options in stock. Order in the next 19 hours, 54 minutes and it will go out today! Inserts for Ickle Pickle's Instant Art. 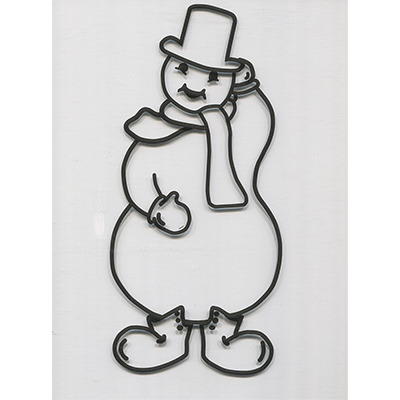 Snowman: A black and white snowman suddenly turns into Frosty the Snowman with his Top Hat, Corncob Pipe, Candy Cane, Red Button Nose, Blue Stripped Scarf, and his Red Boots! Santa in Chimney: An colorful black and white Santa Claus is perched on the top of snow covered chimney. He is carrying nothing on his back. Suddenly, not only does he take on color, but a sack full of toys appears on his back. Rudolph: A black and white photo or a reindeer suddenly turns into Rudolph The Red Nosed Reindeer. Haunted House: The outline of a rather shabby, deserted-looking house suddenly comes alive with ghostly spirits, a monstrous tree and a most ominous-looking moon. What had no color now takes on much color.